In addition, I have many years of experience of tutoring for the SAT. I received a score of 2360 (800 on Verbal, 800 on Writing and 760 on Math) on the SAT and have recent experience tutoring for both the SAT and ACT. I led an SAT tutoring program (SAT for Temple) at the Sri Guruvayurappan Temple in Morganville, New Jersey and worked closely with high school and middle school students who wanted to get an early head start on their SAT preparation. I will tailor an SAT program that works for your students' individual needs. Every student is capable of getting whatever score they want given the proper time and training. I have tutored students through various honors societies in Algebra, Geometry and English in high school and am an ODASIS instructor for Chemistry at Rutgers University. My rates are extremely competitive and I am willing to drive to a students' home if it is in the East Brunswick area. Please contact me if you have any questions, I am very flexible in my schedule and want nothing more than for your child to succeed. I have tutored students in algebra 1. I earned a 5 on the AP Chemistry exam and led an ODASIS class on Chemistry at Rutgers. I have tutored students up to Calculus 2, including Precalculus. Sailaja tutored me in Chemistry 1 at the college level. She was definitely the reason I completed the course with an A-!!! Her meeting times were flexible and she was extremely helpful. Not only would she help me through the course material, but also provided her own extra problems that really helped solidify the complex concepts and ideas I was learning. She adapted to my way of learning and always made sure I was understanding. Through my five week Chem summer session she was able to review all the topics I covered in my fast-paced class. I would recommend her to anyone struggling with Chemistry!! Only two lessons in but I can tell my daughter is slow gaining confidence when it comes to the Math part of the SAT. 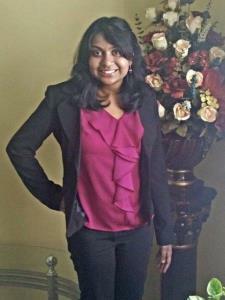 Sailaja makes the learning journey fun and keeps it progressing which greatly motivates my daughter. She looks forward to their weekly meeting. Patient and paces the class with regard to the student. For SAT Essay and Writing forr my daughter. Sailaja is patient and paces the class with regard to the student. Also encourages the student to think on their own to develop their skills. Helps them learn the ways to understanding the tweaks, tricks for SAT prep. Sailaja reviewed the work my daughter did last year and was able to pinpoint some of her weak areas. She is knowledgeable and patient. She is also enthusiastic when working with my daughter who has lost some of her confidence in Math. 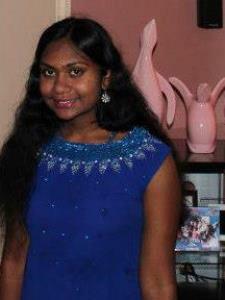 I am confident that my daughter will move quickly ahead in math with Sailaja's tutoring. She is a very smart and energetic tutor. She understands my son's needs very much.. She encourages him all the time. After couple of weeks of her tutoring, I can see my son's improvement on subjects. She is maintaining a strategy to help my son improve his ability to focus on his studies... I highly recommend her! Wonderful, patient, and knowledgeable tutor! 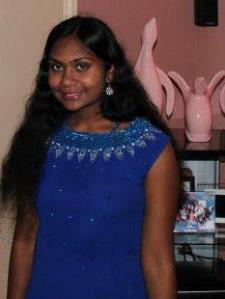 Sailaja has helped my son with SAT test taking strategies. She understands the SAT fully and is able to explain any problems, especially in the math area. She is very patient, cheerful, and easy to work with. My son is in good hands with Sailaja!